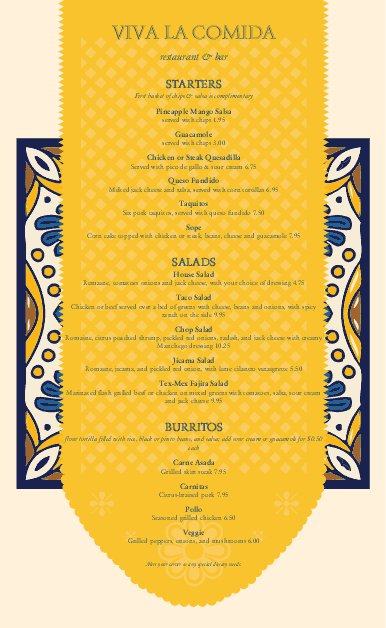 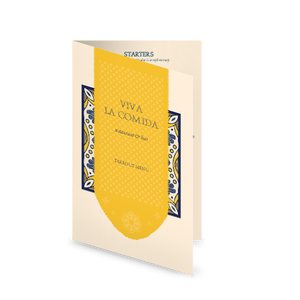 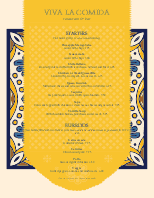 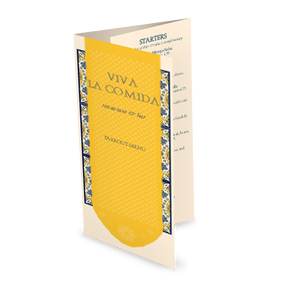 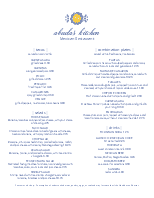 This Mexican cantina menu has an old world feel, with a bold blue, gold and brown tile presented in the background of this 8.5 x 11 design. 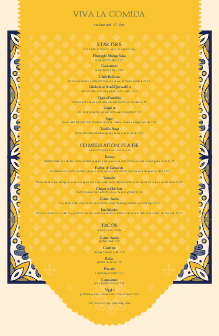 Mexican food specialties are listed down the center on a gold banner, with space for tacos, antojitos, enchiladas, and platos. 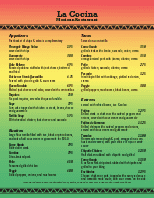 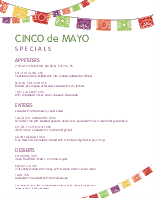 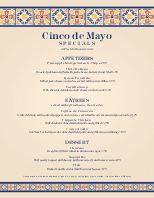 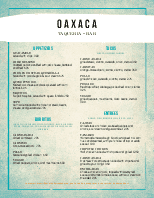 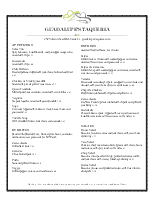 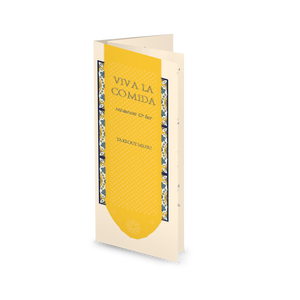 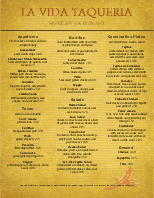 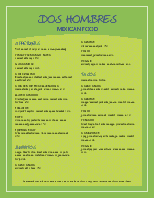 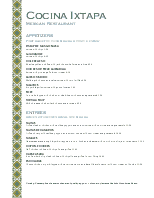 Use this design to create your own Mexican themed menu.